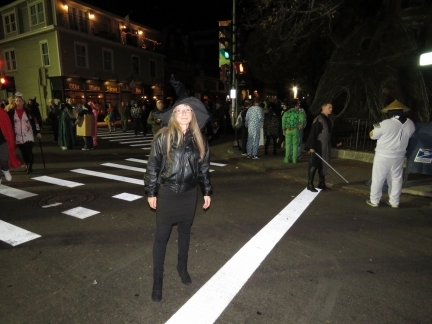 Salem, MA was the center of the Witch Hysteria that led to 20 people being sentenced to death in 1692. 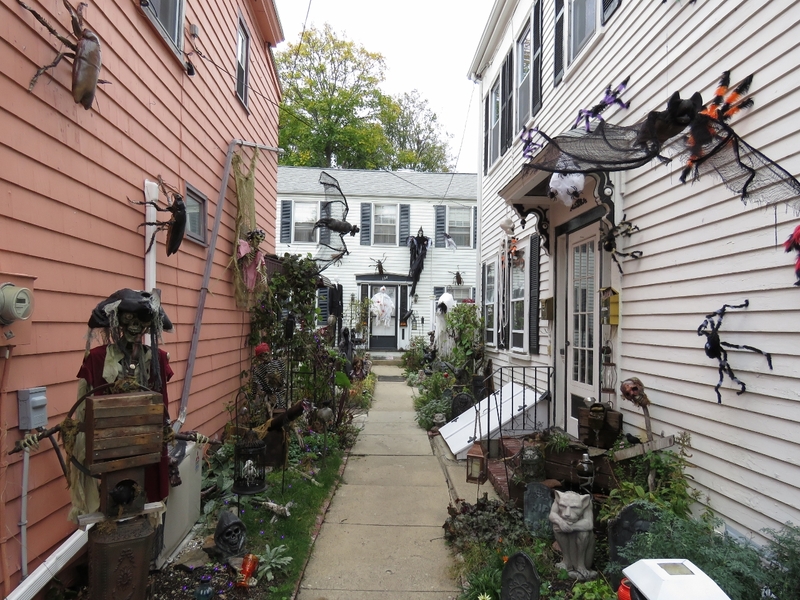 In the intervening few centuries, Salem has become considerably more welcoming to witchcraft, goblins and the supernatural. 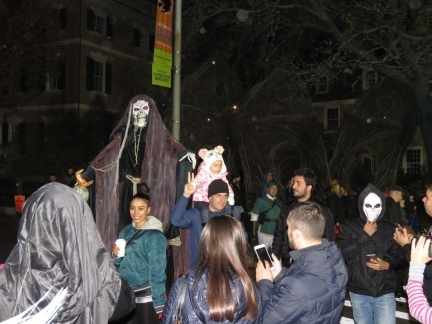 In fact, their month-long Halloween celebration likely is the largest in the nation and includes a parade, costume balls, haunted house tours, live music, lots of decorations and of course, plenty of costumed revelers. 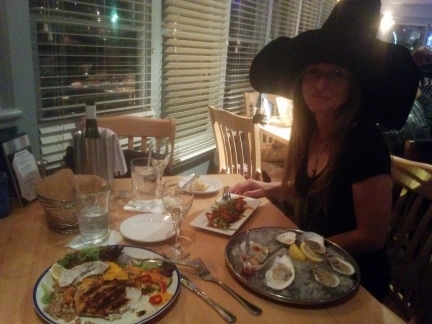 Jennifer is a Halloween baby and this was our first time back in the U.S. for her birthday since 2012. Halloween isn’t celebrated much in the places we’ve been to around the world, so it was especially fun to be in Salem for probably the biggest Halloween celebration in the country. 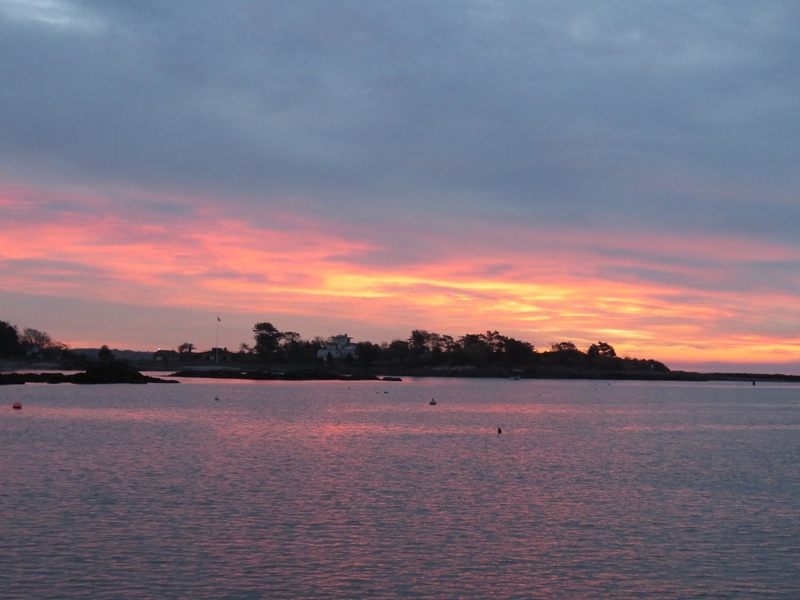 Beautiful sunrise leaving Portsmouth this morning. The twin towers of the Cape Ann Light station were built in 1861 and were the first station in the United States to mark a navigational hazard rather than a harbor entrance, and the last established under colonial rule. 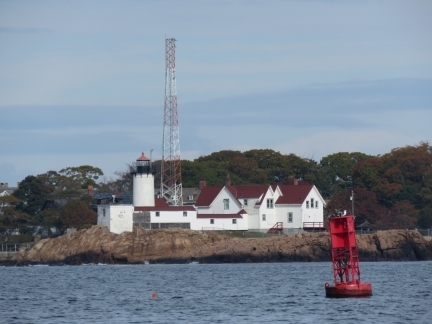 When the lightstation was built, technology didn’t exist to produce a flashing light, so two towers were built to distinguish the lightstation from others nearby. The north light was discontinued in 1932 after revolving lens systems made it possible to produce a flash of a distinct frequency to distinguish the lights. 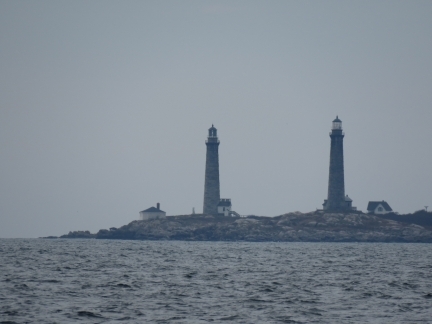 The first Eastern Point Lighthouse was erected in 1832. The current tower was built in 1880 and the keeper’s house in 1879. The light was automated in 1985 and is still active. 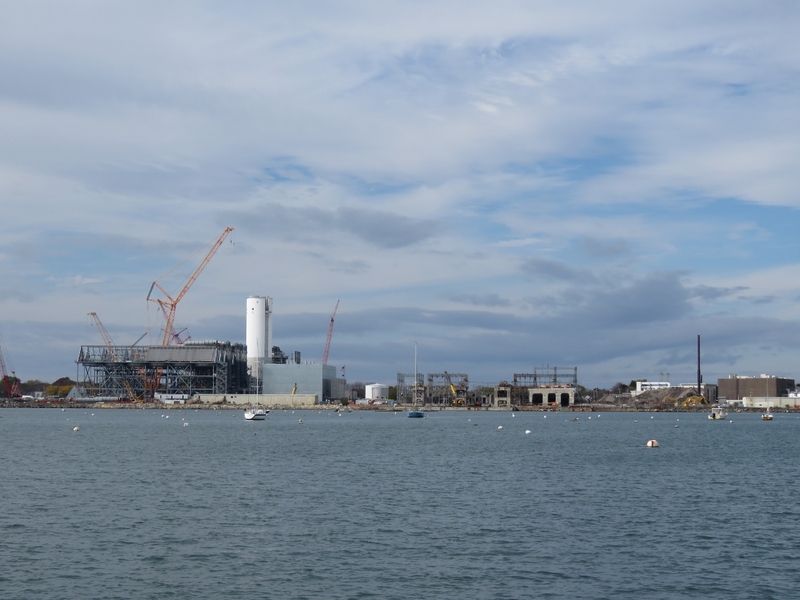 The new Salem Harbor Power Station under construction replaces the power station on the right, in operation from the 1960s to 2014. The old coal-and-oil fed power station took over 16 hours to startup before generating any electricity. 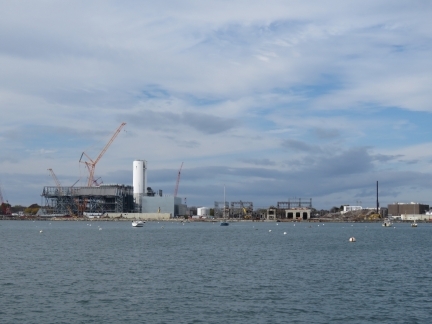 The new natural gas plant can reach nearly half it’s output in 10 minutes and a full 674-megawatt capacity in under an hour. The schooner Fame, a replica of an 1812 privateer of the same name, out for a tour in Salem Harbor. 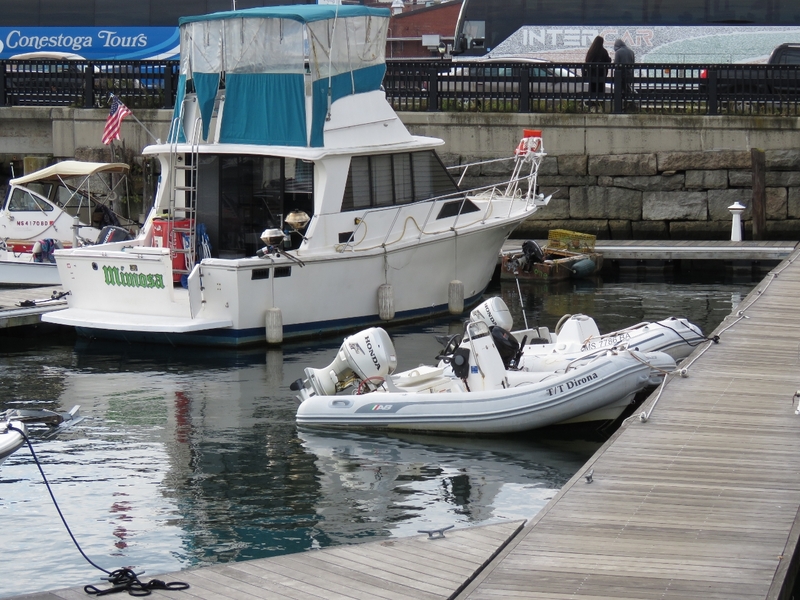 Salem apparently doesn’t have a public dinghy dock, making visiting from anchor a bit of a challenge. But for $5 you can tie off at the Pickering Wharf Marina dinghy dock right downtown. 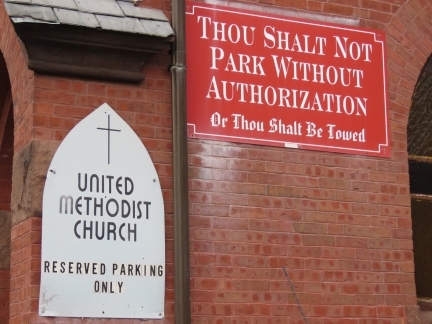 This was cheaper than most of the car parking rates we saw. 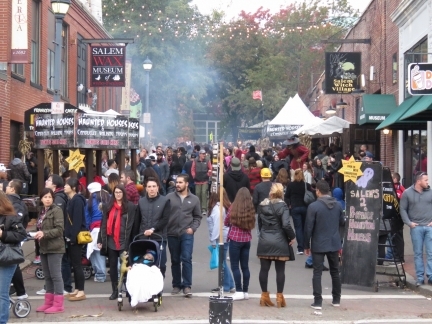 Salem’s month-long Halloween celebration likely is the largest in the nation and includes a parade, costume balls, haunted house tours, live music, lots of decorations and of course, plenty of costumed revelers. The city is expecting 250,000 attendees over the course of the month. 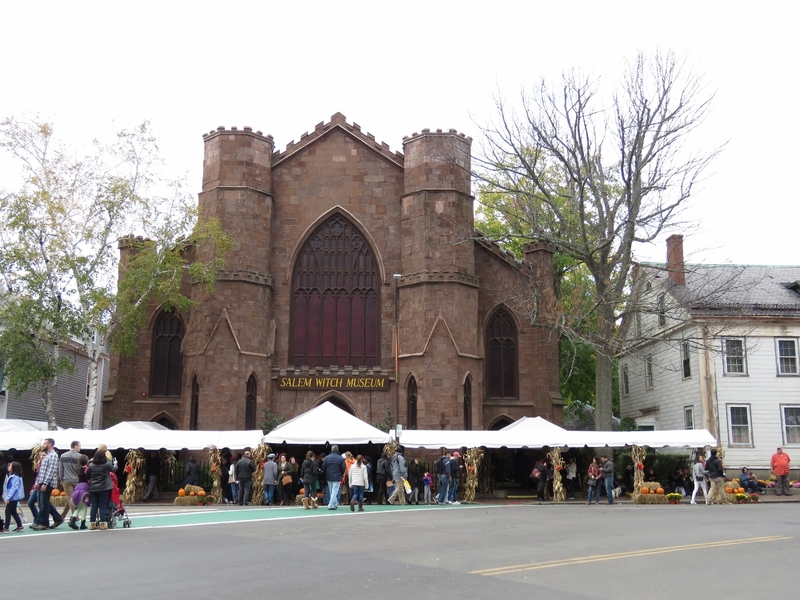 The Salem Witch Museum tells the story of the 1692 Salem Witch Trials, where twenty innocent people were put to death for witchcraft. 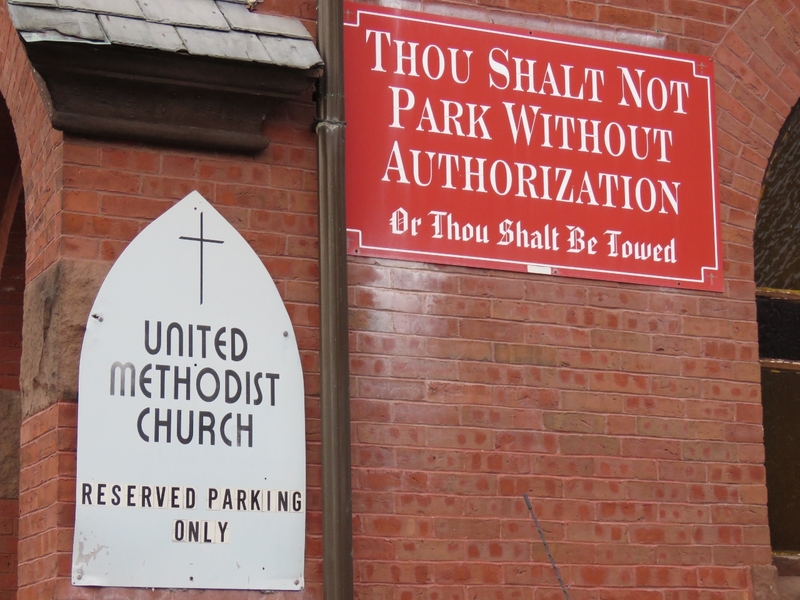 We got a chuckle out of this no parking sign at a downtown church. Many of Salem’s downtown streets were blocked to traffic and thousands of people filled the roads and sidewalks. Every haunted house had a line-up of about fifty people out front. 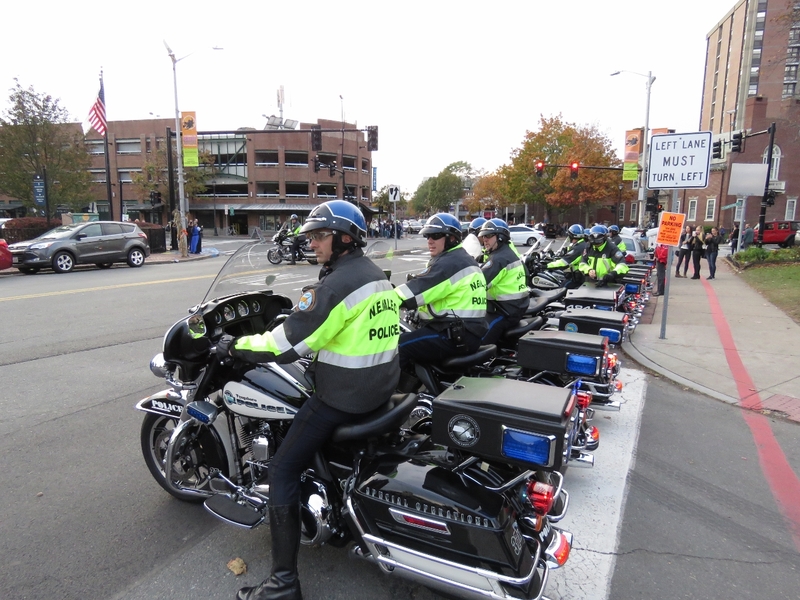 With so many visitors filling the streets, lots of police were patrolling the area. 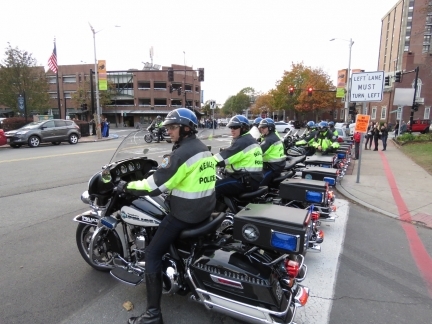 Who’d have thought you could get paid for celebrating Halloween riding around on a Harley? We had an excellent meal at Finz along the waterfront to celebrate Jennifer’s birthday. Like everywhere in town, every table was taken with costumes throughout. After dinner we walked through the jam-packed streets to take in the festivities and the costumes. This is Jennifer’s first time back in the U.S. for her birthday since 2012. Halloween isn’t celebrated much in the places we’ve been to around the world, so it was especially fun to be in Salem for probably the biggest Halloween celebration in the country. 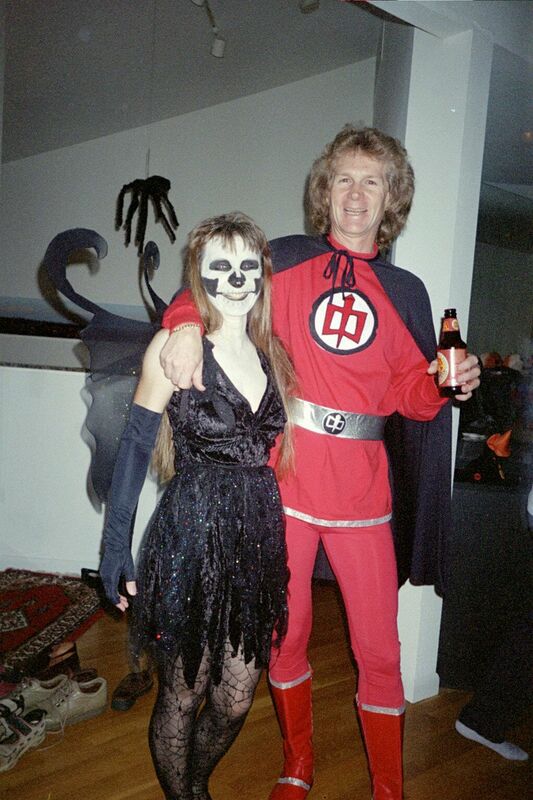 We didn’t get elaborate costumes this year, but we used to have regular Halloween costume parties at our houses in Seattle and Toronto. Here’s a picture of us in 2007 with James wearing a homemade Greatest American Hero costume. 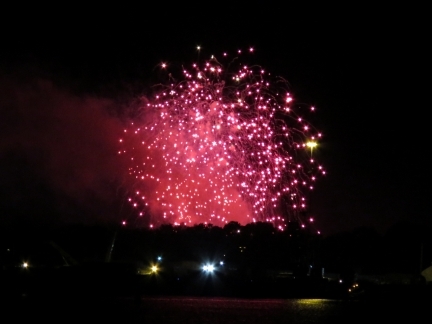 An excellent fireworks display capped off the evening, and the month-long Salem Halloween celebration. We had a great view from Dirona anchored in the harbor. Just discovered your website and youtube vids. Salem is my home town and had I discovered “Dirona” earlier in the year, I would have gone to Salem to say hello. By Halloween, our 310 SeaRay is on the hard getting ready for winter. 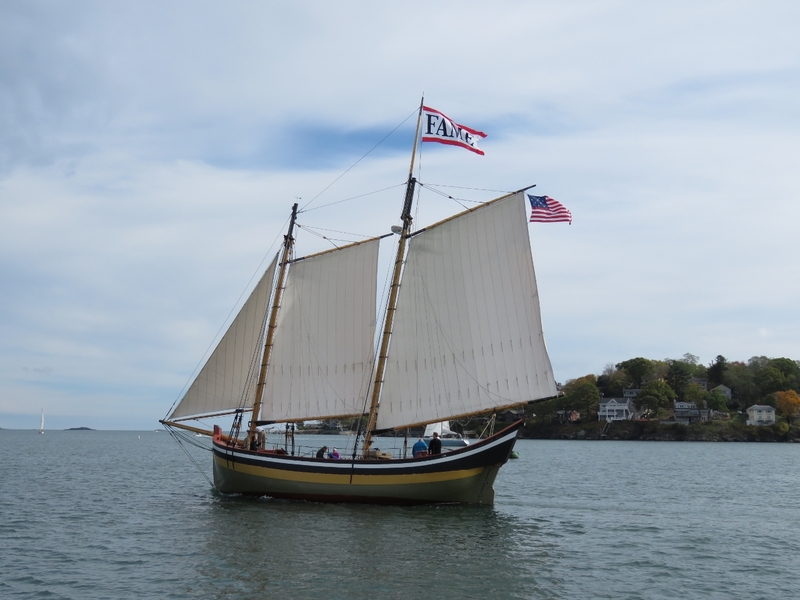 I hope you enjoyed our home waters, from Portsmouth to Martha’s Vineyard. Great blogs. Thanks for sharing. 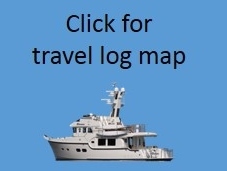 You boat in a great part of the world Mike. We have been loving it. If you ever do find yourself ever in the same city as Dirona, let us know.